Sunday started grey and windy with the promise of sun coming, so it was quickly decided that a spot of shopping followed by tea and cake would be required while we waited for the wind to drop and the sun to once again join us. By 1100 it did and the warm westerly found us goose-winging down the Solent back to Universal. The boat was left gleaming with only a hint of perfume left lingering after a perfect weekend of new and practised skills, friendships and good memories. 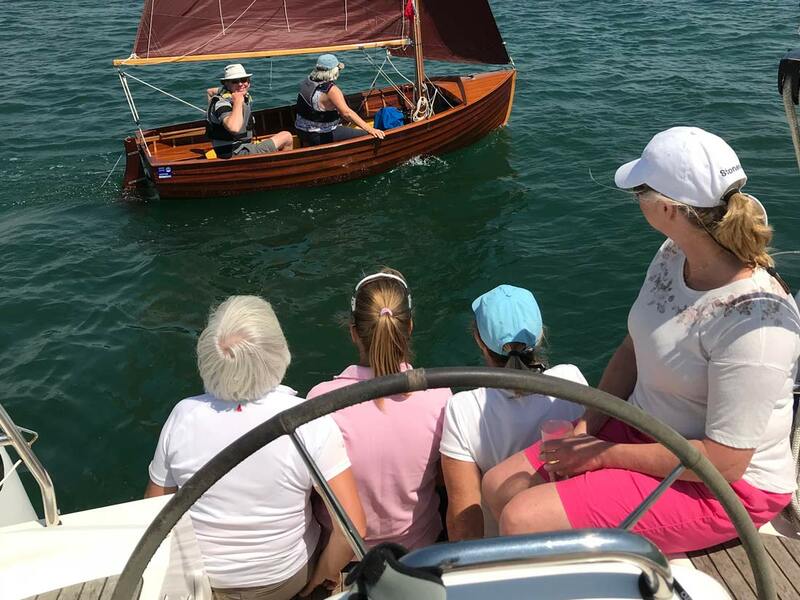 We are gathering club ladies names as we hope to run two of these very successful weekends next year, so please do get in touch with either myself or Ian to book your place on-board. The weather is always warm and the gin and tonic is always cold!